Nothing pairs quite as well with tomato soup as a warm, gooey-yet-crispy grilled cheese sandwich. It’s a classic winter comfort food that chases away the sniffles and the chills. 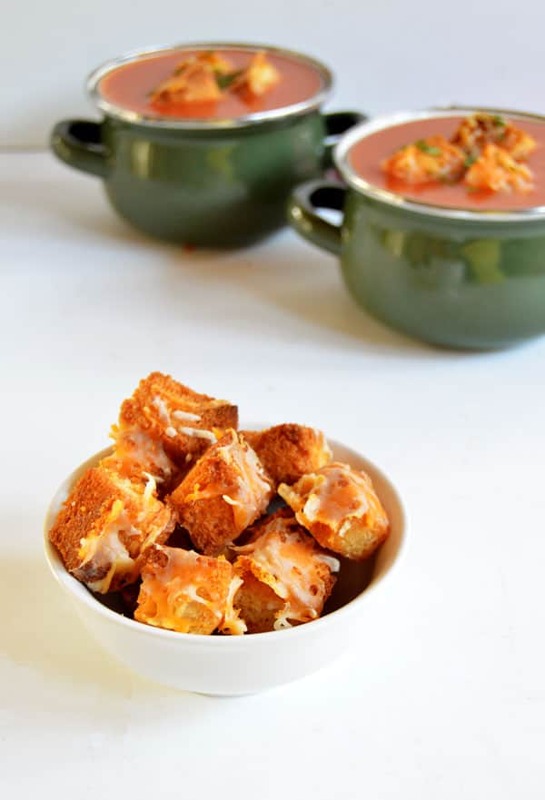 But, here is a clever twist that you have to try this winter: Mini grilled cheese sandwiches that are crunchy and crispy and perfect as croutons on your tomato soup. 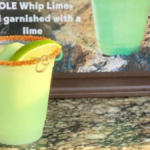 These are too easy not to make. But there are so many ways you can go about creating these delightfully adorable soup toppers. For example, a recipe at Cooking Light calls for preparing grilled cheese croutons in the oven under the broiler. The result? Cheesy croutons with just the right amount of bite. Another take: Spoon University’s tutorial creates grilled cheese croutons by first melting butter and parsley together. Then, the bread is spread with this delicious mixture, topped with cheese and fried in pan. 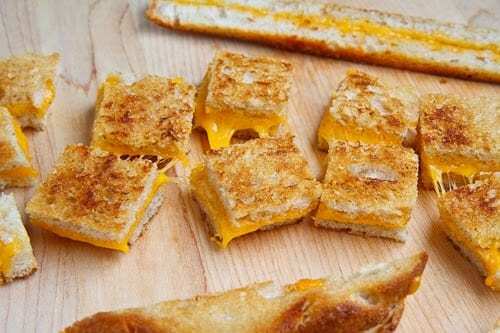 The grilled cheese is then cut into bite-size pieces to top tomato soup with — or whatever your favorite soup recipe is. This method will leave you with a traditional grilled cheese and less of a crunch, but it’s still mouth-wateringly perfect with a bowl of just about anything. Closet Cooking takes a similar approach, preparing their croutons in a pan on top of a stove, rather than under the broiler. The recipe recommends using day-old bread if you really want your croutons to keep their crunch. Splendid Table takes a gourmet approach by using fresh basil leaves, olive oil and freshly grated Parmesan or sharp cheddar to create a high-class grilled cheese. The croutons are prepared under the broiler, and the crouton recipe is paired with a recipe for tomato soup. 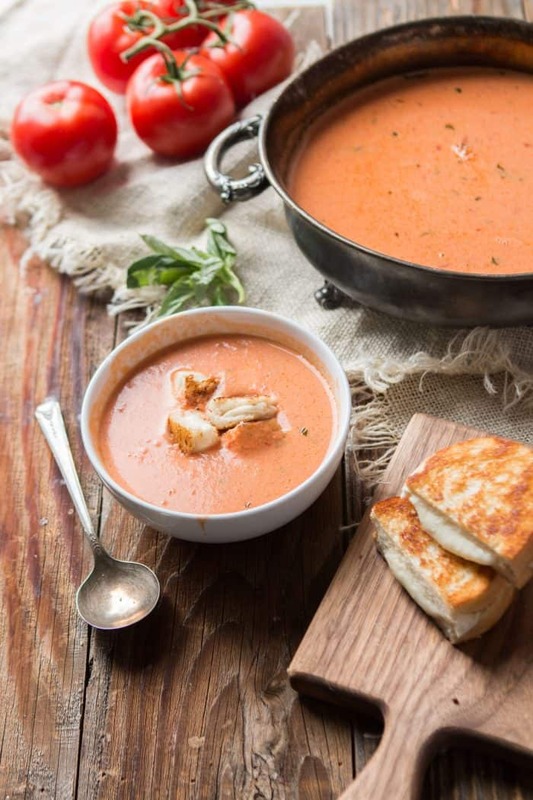 But if you’d like to continue your quest for the perfect tomato soup to go with your grilled cheese croutons, Oh, Sweet Basil has a recipe for roasted tomato basil soup that is ready in just a little over an hour. 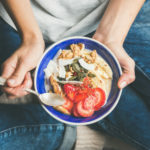 Roasting your own tomatoes is a bit more time-consuming than just buying a store-bought can, but just like the grilled cheese croutons you’ll now be topping all of your soups with, it is so worth it.